Disney’s Animal Kingdom is one of our favorite theme parks and one of our favorites for half days during the summer months. It’s the perfect blend of getting a dose of the zoo, a dose of a local park for kids, a dose of theater, and a dose of Disney magic. All in all, it covers several bases for the toddler age group. 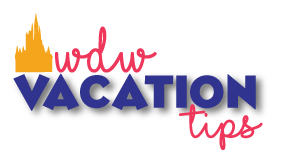 Summer is approaching and while I’m not here to tell you how brutally hot it is going to be soon, I am here to share what NOT to do at Disney’s Animal Kingdom with toddlers any time of year with a focus on half day outings in the Florida heat. Magic Kingdom will always hold a special place in my heart because nothing beats that feeling you get when you walk down Main Street USA. If I had to pick a favorite park I would go with Hollywood Studios. As a big Studios fan, I’m excited about what is to come but nervous about the crowds that will soon take over my favorite park. Animal Kingdom is the park we frequent the least and each time we go I ask myself why? It has so many great things for toddlers so why we don’t go weekly baffles me. Each park gets attention from us, so balance right? Let’s dive into what we enjoy at the Animal Kingdom with 2 toddler boys in hand. Don’t rush through the Gorilla Falls Exploration Trail without your Wilderness Explorer Books. This is my kids favorite part of Animal Kingdom outside of Rafiki’s Planet Watch, The Lion King Show, and Dino Playground.. okay we like many things at Animal Kingdom. But the trail is such a blast! We pause at the fish, the gorillas (a favorite) and pause throughout the trail to snap photos. The walk is shaded for the most part so we take our time strolling the trail and talk about what we see. We also bring our wilderness explorer books (free as you enter the park) and mark off what we haven’t seen and talked about. The Wilderness guide cast members are great about interacting with the kids and help answer questions too! Don’t head into Animal Kingdom midday. There is so much to experience and entering the Animal Kingdom at 1 pm isn’t ideal for anyone, especially hot toddlers. We enter the Animal Kingdom when it opens and usually get very close parking spots. We’ve also entered the Animal Kingdom at sunset and stayed a few hours in the evening hours and that was nice as well. The after lunch midday heat is just too much to handle in Florida and you miss seeing the animals too! The most active I’ve seen the animals are the first thing in the morning and evening hours. We did the safari ride at night and wow, all the animals came out to greet us. Early morning we typically see some of the animals when we head to see them first in the day. Don’t rush past street performers. I’ve noticed so many families rushing to rides and skipping right by some of the dance parties and entertainment throughout the park. My kids dance (or watch momma dance) even if it’s just a 10-minute break from ride 1 to ride 2. The Animal Kingdom has a great blend of theater and that’s my favorite part of the park so I make sure we pause to soak it up on the streets and watch the shows too! Don’t Wait in the Long Lines at Pandora but Don’t skip Pandora. There’s a great area for the kids to play the drums and soak up the beautiful sight of Pandora! Waiting in 2-3 hour lines with toddlers is something I’m not about, so if you don’t have a fast pass I say skip the lines just to play in the Pandora area. Night time is a great time to walk around and let toddlers explore the night lights and sounds of Pandora. Don’t Skip The Boneyard Playground in Dino Land. This is a spot my 2-year-old can’t get enough of. My little Sebastian tends to cry when I make him leave Dino land but more specifically The Boneyard. This is an epic playground for kids especially toddlers that are fans of dinosaurs and aren’t they all fans of dinosaurs. I suggest bringing bottled water and filling up at the water fountain area throughout play time. From slides to safe bouncy flooring to a dig site for dino bones this is a playground to make time for. Don’t leave without watching The Lion King Show. If you want a taste of live theater this show will blow your mind. While there are other shows in the park this show covers a variety of things that will blow your mind (and the toddlers too). My toddlers favorite section to sit in is the lion section so we can do our roar when asked. I feel like you get a blend of great quality live theater, singing, a tiny taste of acrobatics, and so much more. I can’t give away the show but it is hands down my favorite thing on Animal Kingdom property and my boys agree. We all have our personal preferences in the Disney parks, but these are the 6 things I wouldn’t do inside the Animal Kingdom with toddlers. Now I want to leave the house and head to Animal Kingdom (DAK) to explore our favorite parts! What are some of your musts and don’ts at the Animal Kingdom?